Few furniture items are as important as a new sofa. Used by all members of the family and the centrepiece of your living room, it needs to look good and feel good, and it must blend in with the rest of your decor. 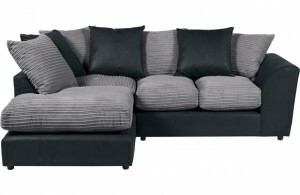 Making the right choice of sofa can be a daunting prospect: there are so many possibilities (Which shape? Squashy or hard cushioning? What material? Which colours? Contemporary or traditional design?) that it’s not always easy to be confident you are making the right choice. It is a good idea to shape your thinking according to two things: how much space you have in your living room, and how exactly you will be using the sofa. It’s possible that you need a sofa for entertaining purposes, or to provide extra seating in a guest room, in which case a standard two or three seater may be the best choice. However, if you want to use your sofa for relaxing at the end of a long day, you might find that a corner sofa is the perfect option for you – especially so if you have a fairly limited amount of space. What’s so good about a corner sofa? Increasingly popular with homeowners who want maximum comfort without losing too much living space, corner sofas represent the ideal combination of luxury and practicality. 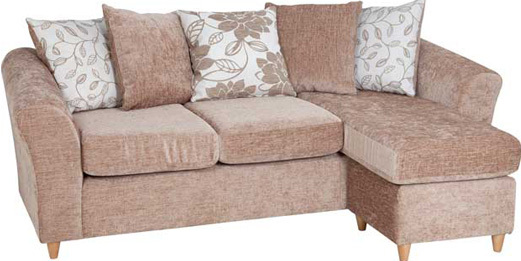 By taking up rarely used space in the corner of a living room, a corner sofa is able to devote more room to your comfort, allowing you to stretch out and relax on a supportive and spacious sofa, secure in the knowledge that there’s plenty of room in front of you even if you don’t have the largest living room. Whether you are looking for something timeless and sophisticated from a leather corner sofa range, or a sofa that is hardwearing and functional, there is now an abundance of quality corner sofas available. Homebase corner sofas are a good example of a wide selection that includes designs suitable for all kinds of homes and families. All tastes, sizes, materials and colours are catered for, as well as the all-important consideration of whether you need a left or right hand corner design. 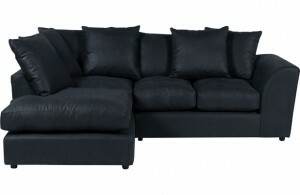 Many sofas come with a movable chaise, offering added flexibility, or otherwise have a chaise longue at either end. What’s more, the seats are softly supportive and the back cushions are deeply comfortable: always an essential consideration in an item of furniture that will no doubt be providing you with rest and relaxation for many years to come. Categories: Furniture, Home Improvement, Shopping.